This past weekend was one of those weekends. The kind that we waste a lot of time trying to figure out what to do, where to eat, how far do we want to drive, do we want to deal with traffic. Part of the problem was the weather. It was supposed to be rainy, so that was putting a damper on our initial thoughts to go to the Squirrel Hill Night Market. The other damper on that idea: traffic. The Liberty Tunnels/Bridge are still closed, so the Fort Pitt Tunnels/Bridge are extra crowded. I just wasn't in the mood for traffic and rain. 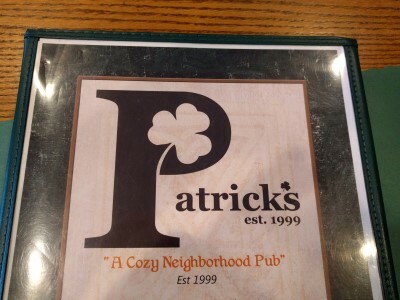 We ended up deciding to try a new-to-us place: Patrick's Pub in Moon Township. It doesn't seem like Moon is that far from us, and I suppose part of it isn't, but the part where Patrick's Pub is turned out to be farther away than we expected. Depending on which route we take, it's 11-15 miles and 19-21 minutes from our house. The city is 9-10 miles from us and if traffic into the city isn't bad, it takes less time to get there than to Patrick's Pub in Moon! We were seated right away. The employees are really friendly and laid back. The Pitt game was on easy to see TVs. And there is a huge beer selection. SP opted for East End Draft. I had iced tea - and happily, they make a tasty, not weak, fresh brewed iced tea. 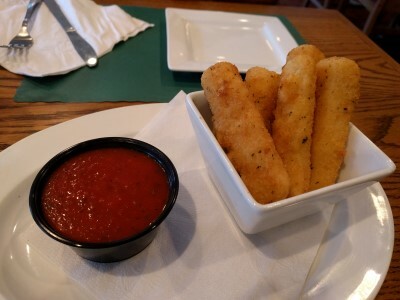 We started with Mozzarella Cheese Sticks. Tasty marinara, gooey cheese, crispy breading. Earlier in the day I'd been thinking about cheese sticks, so these made me very happy. 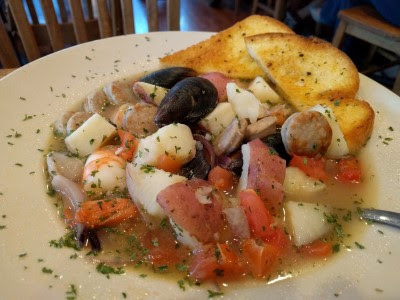 Dublin Seafood Coddle - traditional Irish stew with shrimp, mussels, sausage, potatoes, onion, bacon, tomato served in savory broth with garlic bread. He said it was delicious. There was quite a bit of seafood and enough potatoes and sausage that he had a bit leftover for lunch the next day (he ate the bread at dinner). I thought about Turkey Devonshire, then Chicken Devonshire, then finally decided on Roast Beef n Cheddar. It made me think of Arby's beef & cheddar, only much tastier! 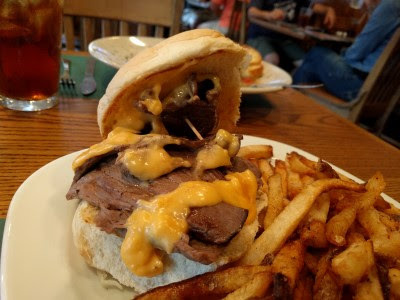 A nice bun (not too hard, not too squishy), lots of well done, tender beef slices, and melted cheddar. After the cheese sticks, I was a little full so I ate half my sandwich and took the rest home for lunch. Overall, we enjoyed our meal at Patrick's Pub. It was casual and relaxing, I liked being able to see some of the Pitt game (it was delayed in the 4th quarter because of lightning in Oklahoma), the iced tea was really good, and our server was friendly and attentive. 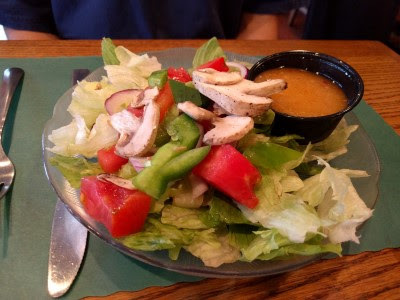 The menu has a lot of variety, so there's something for everyone. We'd go back.